But the problem goes deeper. Other institutions with a remit to inform and educate, such as in the media, leaders of national education programs and the church also appear incapable of realizing a vision of any depth or purpose – equally allowing themselves to be led by the corporatist agenda. An increasingly significant number of citizens now feel that there is no trust-worthy party to turn to at election time; whereas those who continue to place their faith in one or other party, allow themselves to be swayed by the ubiquitous nature of state propaganda – and not by their better instincts. This propaganda is corporation infused and is tied-into the deliberate promotion of an increasingly “me, me” agenda. Materialistically inclined consumers and many of those reacting to the dog-eat-dog political agenda of the day, appear to believe that any sort of resistance to the dominant trend is pointless, preferring to think only about their own needs and wishes and how to get the best out of a bad situation. The corrosive effect of the perverted top down stranglehold on society is undermining the moral fiber once characteristic of independent nations, leading to a state of permanent social unease and deprivation. 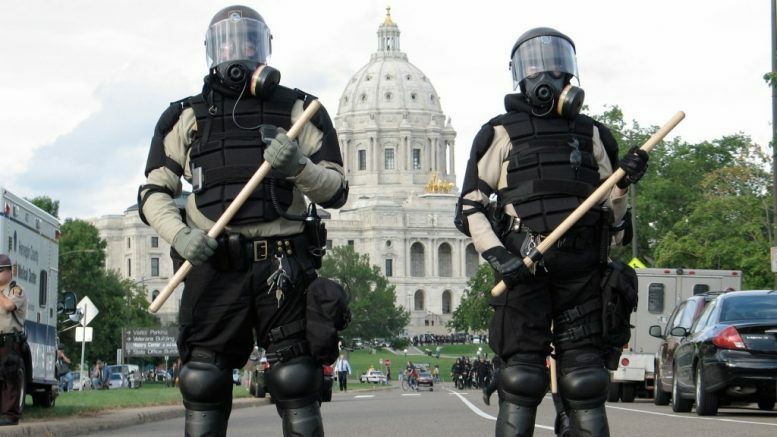 Throughout Europe, North America and other westernized neoliberal capitalist countries, corporate deep state driven solution to this widespread sense of dispossession – is war. Leading the pugilistic charge is the USA. The rhetoric comes from the President, but the heavy guns in the background are representatives of the military industrial complex with its headquarters in the Pentagon. Behind them, as more people are becoming aware, is the shadow government/deep state which ultimately calls all the shots and masterminds the timing and intensity of the war rhetoric. This war-warning siren is at its loudest when there is some particularly unpleasant internal news to keep out of the spotlight. Presently that news is that the US has just run-up its highest trade deficit for a decade – $55.5 billion – and is in a third degree phase of bankruptcy. The economy is slowing. Manufacturing orders are falling and economic conditions are reported to be deteriorating for all but the top earners. The old US pugilistic empire-building role is itself under threat and someone has to be blamed for this – so Russia is once again cranked-up as the number one villain. Owing to the US’s vast military – and the equally vast costs of maintaining its more than 1,000 strategically positioned global bases – a crisis is looming for The American Dream and the crassly materialistic pseudo-paradise expectations that this dream has stood for for over the past two centuries. But a crisis for the US is, as we know, also a crisis for Europe, since their economies are strongly interlinked, with or without TTIP in place. The ideological battle between capitalism and communism has historically played-out as a ‘cold war’, sucking in all of Europe in its wake. Now the hidden hands of the shadow government driving the global political and economic agenda are working to ratchet-up the ‘cold war’ agenda, via pumping ever more funds into the propaganda machine whose open belligerence is directed at Putin. Here, we are all led to believe, is the number one threat to the planet and prima causa of the rapidly failing dominance of the neoliberal Western led economic and military agenda. Over the past decade Poland, Romania and Lithuania have become front line nations in relation to what is described – by fake mainstream news – as ‘Russian aggression’ but which is in reality US/NATO hegemonic ambition to advance Eastwards. Poland, from where I am now writing this article, has recently become the main base of NATO’s Eastern European Command and hundreds of US missiles – under NATO’s command – are stationed at various sites on Polish soil, as well as in Romania, ringing the Western boundary with Russia. Continued attempts are being made, via the call for further Eastern EU expansion, to also gain a further Western style foothold in the Caucasus, so that yet more US/NATO missiles can be established there, to further encircle the Russian Federation as well as put pressure on China. The EU plays a central part in the rollout of this aggressive militaristic strategy – more on this later. But simultaneous to the implementation of its geopolitical role as chief player on behalf of the shadow government, the EU is itself showing evidence of ever deepening fissures in its attempt to hold together ‘the Union’ as the supposed one voice socio-economic unit it was supposed to be. Cracks are appearing everywhere as the European Commission is ever more exposed as the perpetuator of a policy expressly designed for the creation of a supranational superstate; a centralized control system (based in Brussels) established to be the European blueprint of The New World Order. The purveyor of a doctrine of taking unto itself command and control of every significant aspect of the workings of the countries under its flag. Recent examples of this are the introduction of single point centralization of all member state fiscal arrangements; secret services; banking operations; police forces and now ‘EU military unification’. A program announced by head of the European Commission, Donald Tusk, in June 2018. ‘EU military unification’ involves the diverting of the autonomy of each EU nation state to maintain its own independent military – into a collectivized pool under the direct command of EU defence chiefs, with backup from NATO. The implications of this military centralization program also suggest an equally sinister civilian lock-down. In a recent BBC TV interview, EU defence chief Federica Mogherini stated “We need to merge military and civilian policing functions.” This is a much more critical statement of intent that it might seem at first glance. A nation state without full control of its military and with its tax payers contributions being funneled into building an EU based military/police state – will not be able to defend itself without permission from Brussels. This is a key part of New World Order planning – and it is happening. The fiasco called Brexit is at the centre of this political sell-out to the barely disguised fascistic ambitions of the EU Superstate. Under the guise of negotiating a EU exit, the reality is that a covert form of high treason is being enacted right under the eyes of UK citizens. British Prime Minister Theresa May is overseeing a strategy whereby the country’s navy, air force and army are being rapidly run-down to unworkable levels, in lock step with EU military unification being ramped up. The ‘centralization of all strategically important elements into a one point control unit, has been given the name ‘The Fusion Doctrine‘ by the UK Ministry of Defence. The Fusion Doctrine is supposedly being established in order to counter international terrorism – but actually it is to bring together different professional bodies under a war style footing so as to exert further draconian levels of control over the civilian population. Such strategic thinking comes from Chatham House, the Atlantic Council, the Bilderberger group and other similar secret society operatives. Pumping money in behind the scenes are the International Monetary Fund (IMF), World Bank, European Central Bank and – taking a leading role – the International Bank of Settlements, based in Frankfurt. The biggest money-laundering outfit in the world. In order for this totalitarian take-over to appear to be sanctioned by the public at large, non-governmental organizations (NGO’s) are being enlisted to play an increasingly important role in smoothing the way. There are a plethora of such organizations at work in the UK, all receiving direct (but largely disguised) funding from government and industry. They are involved in military and civilian deception. For example, UK NGO’s have been revealed to have helped indirectly fund the Middle East rogue ‘peace keepers’ known as the White Helmets, who act in support of ISIS terror squads and anti Assad dissidents. NGO’s have been conscripted to play the role of putting a positive propaganda spin on secret service backed attempts to bring about regime change and similar acts of covert interference in foreign countries, since it is believed that the public will never conceive of ‘charitable’ organizations acting as CIA/MI6 and Mossad sponsored operatives. But they do. Within UK civilian circles a government and industry supported NGO called ‘Common Purpose’ * has taken on the remit of ‘educating’ various branches of government how to improve their public relations profiles (read: create more authentic spin) and a lot more besides. 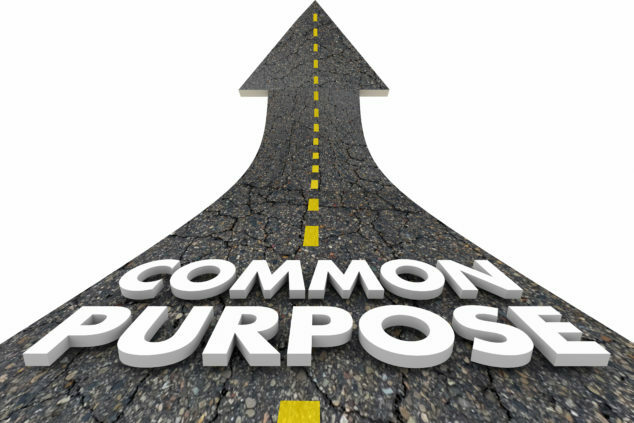 Common Purpose, like its cousins, is a propaganda machine working to undermine and destroy the traditional functions of national governments and the civil service, often on behalf of the political and economic agenda of super wealthy families such as the Soros regime, Rothschilds and Rockerfellers. The British Civil Service, once a quite respected body in its own right, has shown signs of itself being corporatized and being open to the influence of major players with ‘an agenda’. Such regimes would supply the ‘hygienic’ staple diets for smart city occupants. Such so called ‘sustainable solutions’ are actually quasi extensions of eugenics programs popular with Hitler, and have nothing to do with actual solutions to the process of planetary ecocide still being moved forward under the central control system’s totalitarian agenda. Many ‘green’ organizations have also become dependent upon their wealthy financiers, who often harbor strong ulterior motives for supplying their financial support. An outstanding example of a psychopathically grandiose supposed ‘green’ initiative unleashed this last year (2018), is the launching of the 5G WiFi and electromagnetic microwave network, by Elon Musk, the entrepreneur behind the electric car. This scheme will up the EMF rate of mobile phone towers and street transmission installations by a drastic magnitude, at huge cost to the health and welfare of peoples, animals and the environment. 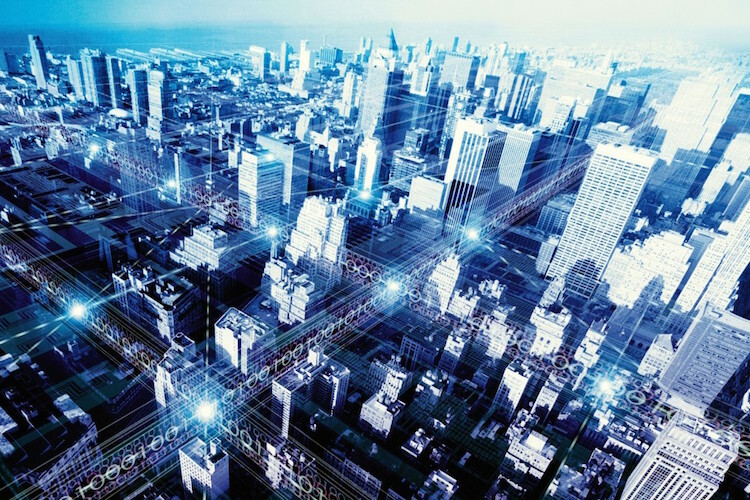 It will cover every city, town and village – that goes along with it – with thousands of new microwave spewing base stations at intervals of every 5 to 8 houses in urban landscapes. The ubiquitous spread of electromagnetic microwave technologies over the past two decades provides an essential tool for population control. Closely allied are the extraordinary powers now being held by social media and Internet giants like Google and Facebook. The fact that great swathes of the population are addicted to an almost continuous use of hand held ‘smart phone’ technologies has enabled the operatives of the central control system to exert a net like influence on the population from one end of the globe to another. In very general terms, this provides a further string to the bow of a global dumbing down exercise. An exercise that continues to be applied via the dominance of toxic pharmaceuticals, processed, devitaminized – and genetically modified foods, chemically altered drinking water, sub standard air quality and atmospheric aerosol engineered nano-particulates, to name a few. Coupled to these are the psychologically destabilizing affects of TV fake news and so called ‘entertainment’ shows, general media hype and the huge number of war oriented and generally violent electronic computer games that cover the children’s toy market. The Fusion Doctrine no doubt intends to take full advantage of artificial intelligence in its delivery of a fully functioning totalitarian take-over. The steady incremental growth of public addiction to electromagnetic microwave mobile phones, smart meters and associated smart technologies, has opened the way for upping the levels and range of control over the daily lives of millions, perhaps billions, of people. The advent of algorithms in computer software coupled with the multiple neighbourhood transmitter boxes with their millimeter pulsed 5G microwaves, are clear signals of ‘human side-stepping’ and non-human advancement, both in the work place and at home. The breadth of the agenda that I have attempted to encapsulate in this article is far from complete. However, it is sufficient to reveal that our precious and precarious planet is in the hands of deeply disturbed individuals, exhibiting varying degrees of psychopathic compulsion. We also see, thanks to those at the forefront of exposing the horrific abuse of children by those in positions of power, that the world of politics, religion and other institutions of supposed ‘reputation’ is corrosively flawed. We see that, amongst those we have entrusted with power, are perpetrators of some of the worst crimes against humanity this planet has ever endured. Given these facts, we cannot but reach the conclusion that, at the top end of the day-to-day management of this world, are a cabal of deeply psychotic criminals. Crimes against humanity start with those in power. Once ‘we the people’ see that an undetermined number of our ‘leaders’ are at the centre of a club of satanic worshiping pedophiles and child murderers, we cannot turn our backs and remain passive. To do so implicates us in the crime and ensures an inhuman future for all mankind.